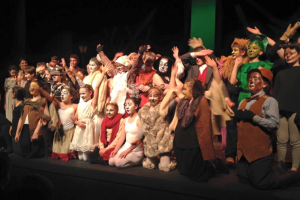 The Spring Musical Theater Program at Saint Patrick is an exciting after-school opportunity open to all students in grades 4 through 8 who would like to learn more about acting, singing, dancing and/or technical theater in this truly educational program. NO experience is required. Under the direction of Ms. Maria Valenzuela Lewis and a Bellarmine Drama Internship Program, Saint Patrick students produce a fully-staged, Broadway-style musical, participating as on-stage talent, design assistants, dramaturgs, artists, choreographers, pit musicians, assistant stage managers, backstage crew, and more. The possibilities are endless. 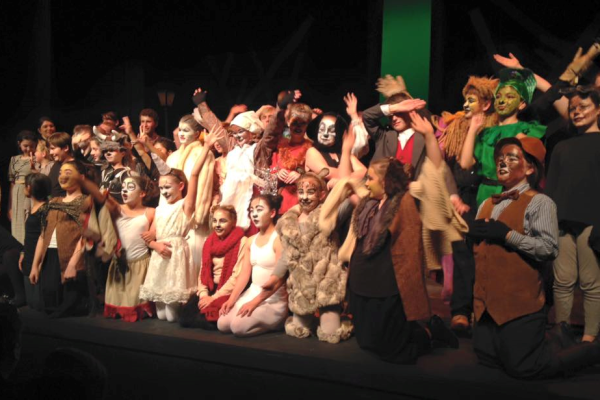 All interested students in grades 4-8 can be involved in this production. Auditions are held in the late winter for placement only, and are used to determine the most appropriate assignment for each child’s level of interest, ability, commitment, and challenges. Extra care is taken to ensure that all students are comfortable to learn and progress as individuals. A nominal participation fee is asked from participating families to facilitate this after-school program.